The long awaited EP from Messenger Douglas and Kibir La Amlak is finally ready, and ready with style. Yes, it was definitely worth the wait! This testament to modern roots reggae has cut no corners and taken no shortcuts! A large credit list lines the back of this EP, naming a plethora of the best musicians, studios and engineers that the UK reggae scene has to offer. Such as Dennis Bovell, Jerry Lionz, Ashanti Selah, Roberto Sanchez to name but a few. Messenger Douglas is an artist in a league of his own, high musical standards are seamlessly married with deep lyrical content! The four vocal instalments on this EP showcase this marriage immaculately. 'Real Works' the title track of the EP, kicks off proceedings as a rallying call to anyone who knows they can do better in life. A solid roots rockers riddim explodes out of the speakers to carry the message that there is no time to idle, relax or sit down, the battle can be won!' 'Blessings' follows as an exploration of faith and confidence in the ever present blessings of life. As life is a journey with many ups and downs, the riddim track, especially the bassline, reflects this. Dennis Bovell's world class bass playing shines through here, taking us from the highest highs to the lowest lows. Regardless of the position on the journey, the faith still remains. 'Happiness', a song written by Messenger over 30 years ago, finally finds its way onto the anthemic Joshua's Anthem riddim, with a message as relevant to the world today as it was when it was written. The EP concludes with 'Sufferers Tea', a true lyrical masterpiece, that deals with the harsh and bitter realities of life as a sufferer. The hypnotic guitars, and relentless pace of the riddim echo the intensity of the sufferers life, yet true to Messenger's songwriting genius, the song remains upful and even humorous in places. All four vocals are followed by heavy-weight dub versions, mixed by Kibir La Amlak, in the original analogue fashion, hands on faders, spring reverbs, valve filters and an immaculate attention to detail. The tracks were mixed by Kibir La Amlak and Nick Manasseh at the Yard Studios and then mastered and cut to vinyl by Lewis Hopkins at Star Delta Mastering. The final sonic character of this EP (especially the vinyl) is huge! Warm, punchy, analogue, roots -reggae at its finest. 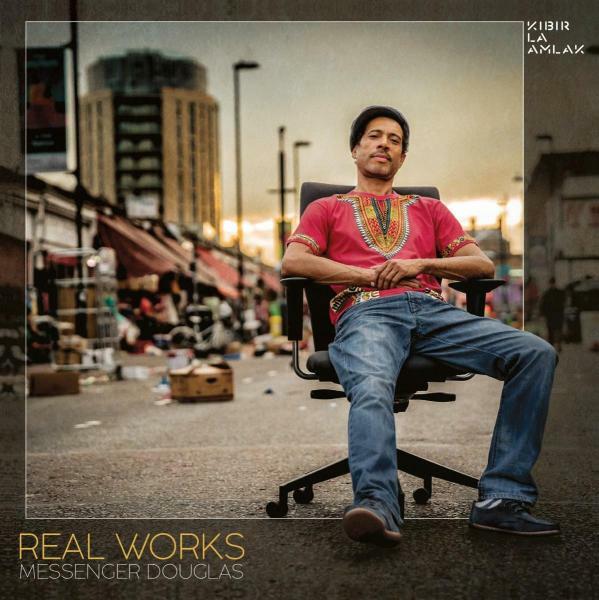 Both Kibir La Amlak and Messenger Douglas have a firm root in the world of reggae sound system, so it felt only natural that this EP echo that foundation with the vocal / dub format that is so richly associated with that world. The vinyl release honours this tradition with the EP coming on 2 separate 12' disks! Whether you choose to play your favourite track as a vinyl single through a sound system, or tune into the whole EP start to finish on Spotify as you cook dinner, one thing is guaranteed. You will not be disappointed!